Usually Tuesday is Shoesday in this neck of the woods and I highlight a pair from my collection. 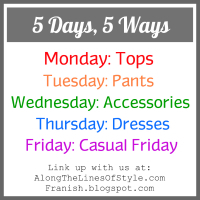 But, I will take a break from that this week, if you don't mind, because this is day 2 of the 5 Days, 5 Ways link up, co-hosted by Franziska over at Franish. This exercise has been a bit time consuming, I will not lie, but I'm digging the end result of seeing my outfits with the shared piece, side by side. Today's focus is on pants. 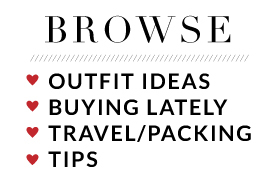 Originally, I thought this was going to be tougher to pull together because I seldom wear pants that are not jeans. 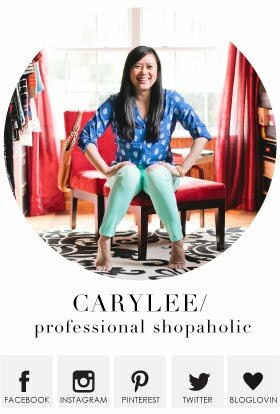 But then I remembered my wine colored skinnies from Express that I bought last October that I could wear over and over again. And I have! Let's reminisce, shall we? Love these outfits! 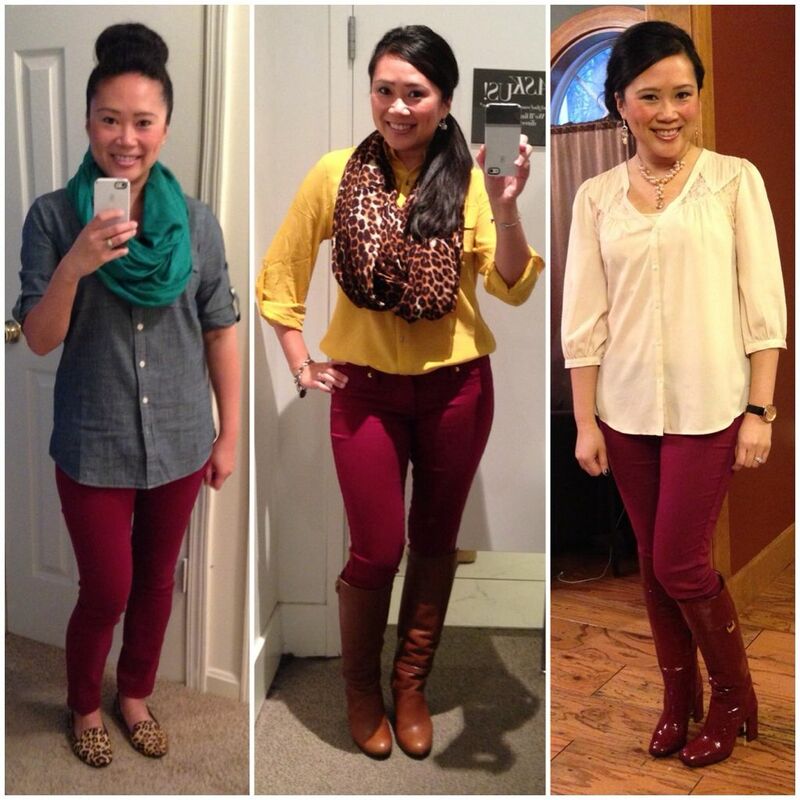 I wore my dark red jeans for the remix today too, but these are all totally new ideas for me. Thanks for sharing! Oh and you're right, leopard goes very well with this color. Amazing how there are so many ideas for the same piece across different people! Thanks for the comment and for stopping by! Now I'm off to check out yours! I have a bright red pair of jeans that I wear constantly, but I've been wanting a darker wine pair to my wardrobe as well. 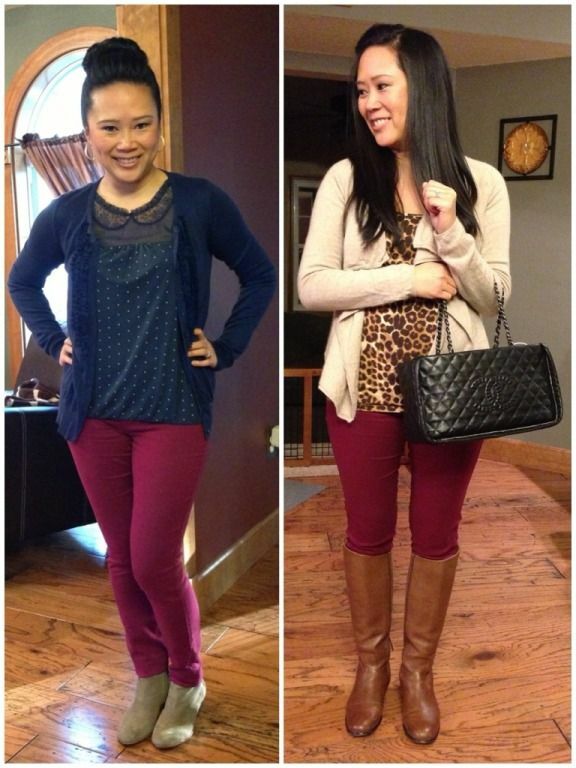 I love all of the ways you've styled yours, especially the outfits with hints of leopard! I have this pair, more of a deeper plum pair, and a bright red. They're all very good! The wine is definitely worth the try! Would love to see how you style them.